Despite all the advancements in ERP and PLM, packaging and labelling still requires a best of breed approach. While these have improved in terms of capturing and managing a large portion of the product lifecycle, it’s still transactional and does not go far enough to manage copy text, design and compliance requirements that artwork and labelling demands. 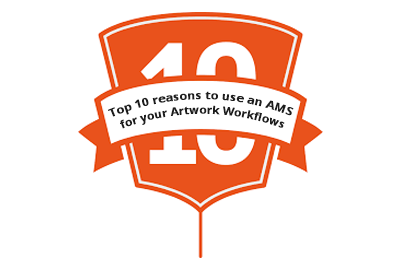 So by integrating ManageArtworks (artwork management software) to SAP, artwork and labelling changes can be managed seamlessly throughout the life cycle of the product. What kind of information is exchanged between ManageArtworks and SAP? Based on the packaging material category and the material code, available inventory Quantity /Value & Purchase Orders Quantity /Value can be displayed. The continuous growth in number of SKUs (20% on the average) results in as many or more BOMs in the ERP system. Many companies create a unique BOM for each SKU and this tends to grow based on number of markets, distributors, manufacturing locations, etc. In spite of adopting innovative ways to reduce the number of BOMs, as the company becomes global, the number of BOMs swell. With so many BOMs in use, it’s essential that the Artwork System alert the user when a particular item code is being changed. The item code might be in use across multiple BOMs and it’s essential that the user know what BOMs will be affected when an artwork is changed. By integrating with SAP and the BOM information, ManageArtworks is able to show the user the impact of a change to a particular printed material, be it a label or a leaflet.